iSkin bring you their brand new case for the iPad 3 to add to the ever-expanding range of cases designed to work exclusively with the Apple Smart Cover. 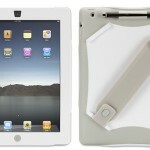 Introducing the iSkin solo Smart Back Cover For New iPad 3 & iPad 2 available in a range of four luscious colours. Engineered to work in perfect harmony with the Apple Smart Cover, the iSkin solo Smart Back Cover For New iPad 3 & iPad 2 protects your new iPad 3 and iPad 2 brilliantly with a secure fit. 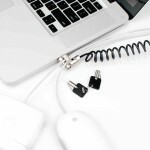 Featuring protective covers for all ports, controls and the headphone socket, the iSkin solo Smart Back Cover For New iPad 3 & iPad 2 is the perfect partner for your new iPad and its Apple Smart Cover. Featuring iSkins patent-pending CoverLock™ system the iSkin solo Smart Back Cover For New iPad 3 & iPad 2 will ensure a secure connection between your iPad 3 and Apple Smart Cover. Not only this, but the iSkin solo Smart Back Cover For New iPad 3 & iPad 2 is made from a thermo-polymer material which is slim, lightweight, soft and grippable. It also features Microban antimicrobial technology which prevents the case from obtainting and absurbing stains and odours. The iSkin solo Smart Back Cover For New iPad 3 & iPad 2 works perfectly with both the new iPad 3 and the iPad 2, offering both devices the ideal protection and style you require without any compromise. 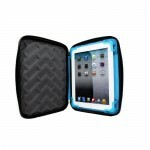 Pick up your iSkin solo Smart Back Cover For New iPad 3 & iPad 2 in one of the following colours; Pink, Purple, Black, Blue.